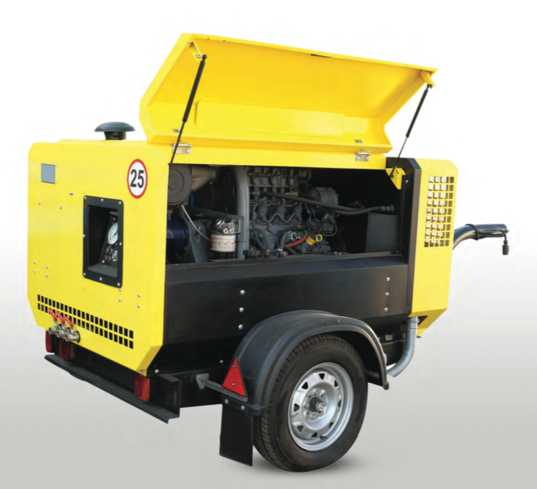 Air compressors play a vital role in industry. They deliver the energy needed to keep tools, equipment and machinery up and running, making money. Despite their crucial role in production, compressors generally are not foremost in the minds of maintenance technicians. Oil changes can be delayed – or forgotten completely – allowing cylinder and bearing wear, carbon buildup and corrosion to set in, leading to costly repairs. 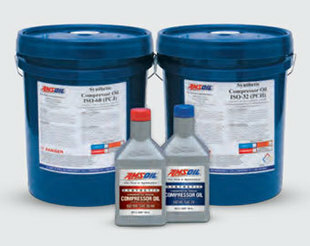 AMSOIL synthetic compressor oils are durable, reliable and affordable. They are engineered with advanced synthetic technology tailored to the unique demands of rotary screw, vane and reciprocating compressors so you can be confident your equipmentis protected and running efficiently. 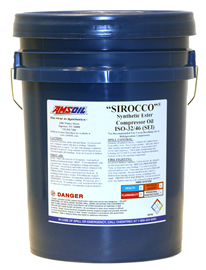 And, while other synthetic compressor oils can top $100 a gallon, AMSOIL synthetic compressor oils often cost nearly half that without compromising quality, offering the best of both worlds. Compressor oil affects not only compressor life, but profitability. AMSOIL synthetic compressor oils help cut maintenance costs, energy use and lubricant consumption, increasing profitability. High heat leads to deposit formation. Deposit-covered valves cannot close completely, allowing hot, exhausted air back into the compression chamber, where it becomes increasingly hot when it is again compressed. Known as recompression, the problem is compounded as deposits build dueto increasing heat in the compression chamber. Recompression erodes efficiency and can eventually result in a violent explosion. AMSOIL compressor oils inhibit or prevent the formation of carbon deposits on valves, limiting the detrimental effects of recompression. AMSOIL synthetic compressor oils are stable in the presence of water and readily separate from water, helping prevent unwanted oil/water emulsions that inhibit an oil’s ability to lubricate. This provides longer lubricant life while allowing water to be easily drained from the sump. Top-quality rust-preventive additives offer dependable protection for components in the presence of water or process contaminants, while anti-foam agents ensure a consistent, protective oil film, even during high- speed, high-pressure operation. Formulated with a non-detergent additive system, AMSOIL synthetic compressor oils form a strong barrier on parts, helping prevent metal-to- metal contact. They are designed to outperform competitive synthetic and petroleum compressor oils, decreasing wear and time spent performing maintenance, while increasing profits and component life. AMSOIL compressor oils’ flash, fire and auto-ignition points are higher than those of competitive petroleum fluids, minimizing fire and explosion hazards. Their ashless additive systems and resistance to carbon deposit formation minimize ignition-promoting hot spots. Note: AMSOIL compressor oils are not fire-resistant compressor oils.